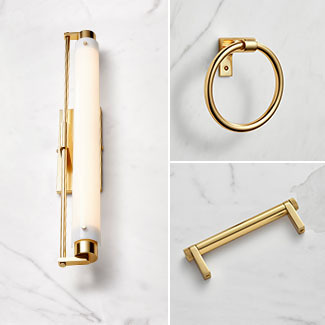 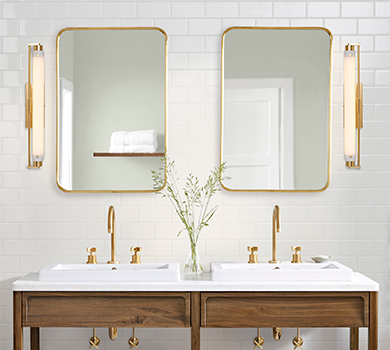 Our lighting is custom-made to your specifications at our Portland factory, while our expertly crafted vanities feature your choice of countertop and hardware. 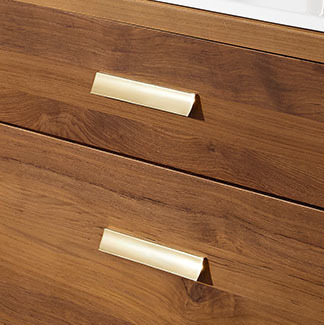 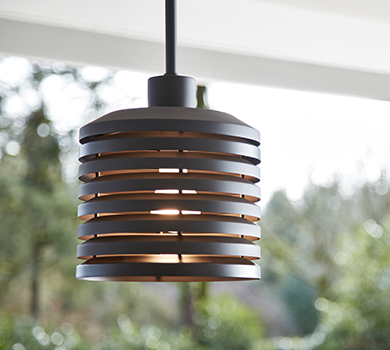 From solid brass to sustainably harvested wood, our designs center around bringing quality materials to life. 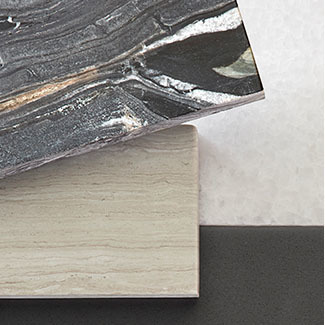 See the beautiful details behind our products in the video below. 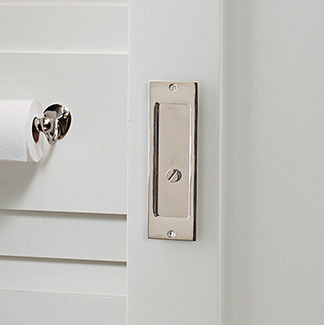 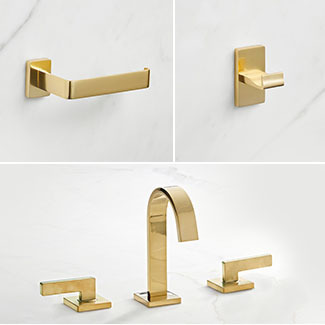 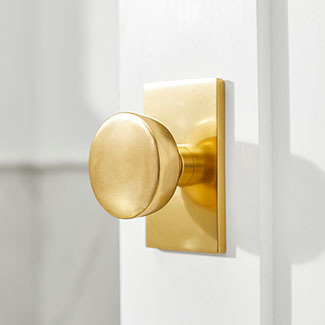 We design and build our solid brass styles with the best makers to ensure the highest quality construction and finishes. 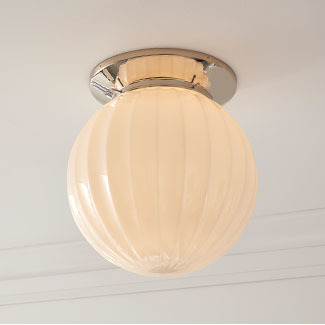 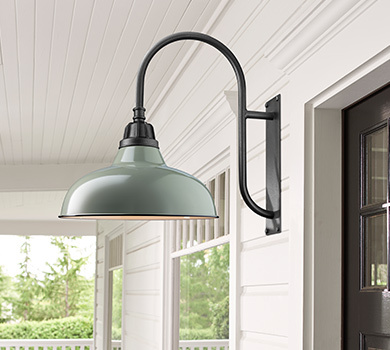 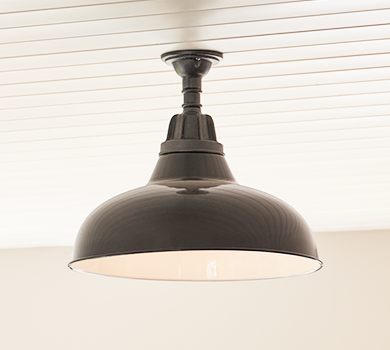 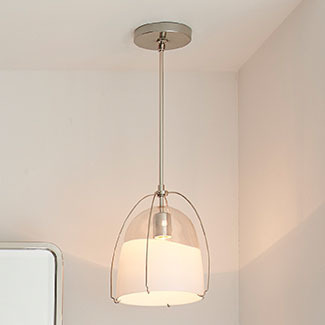 Featuring hand-blown glass shades, our Willamette collection combines classic elegance with modern durability. 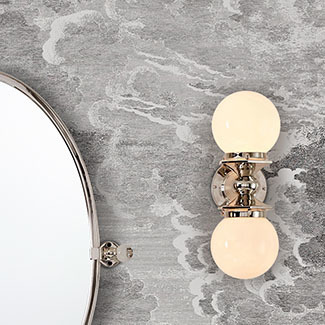 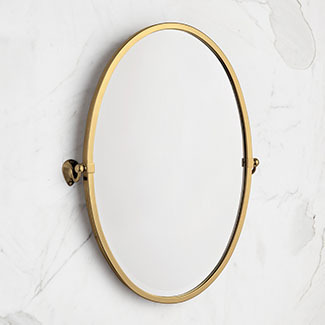 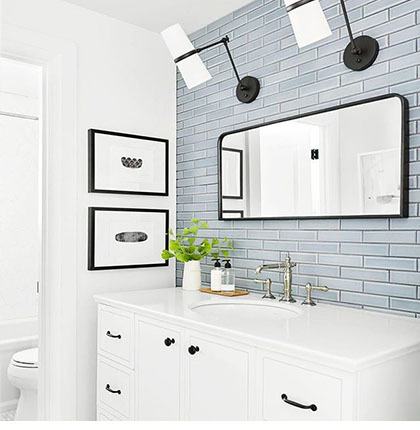 Create your ideal vanity space with our versatile pivot mirrors; they’re made to tilt and adjust to maximize your view. 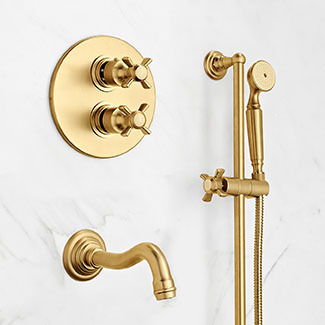 Complete your bath with a matching shower set or tub filler in your finish of choice—all made in the USA. 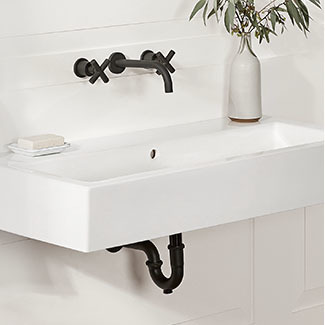 Our industrial styles showcase materials and connections. 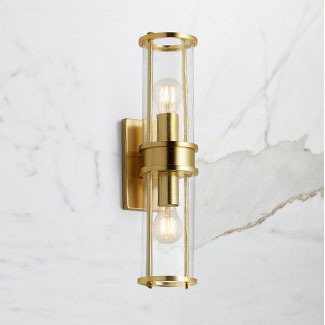 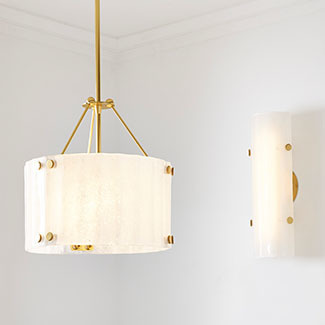 Each piece is rooted in functionality, complete with graceful, unadorned details. 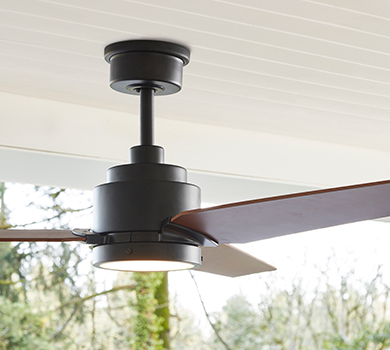 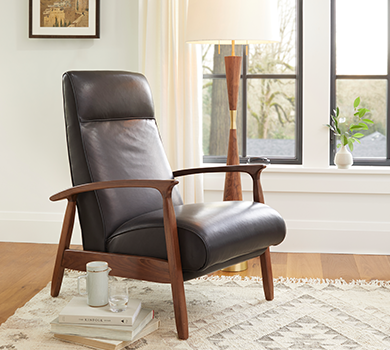 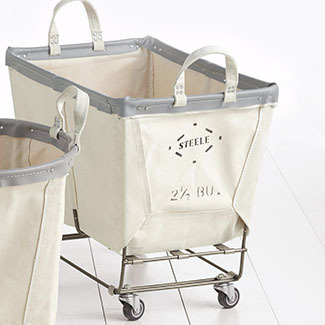 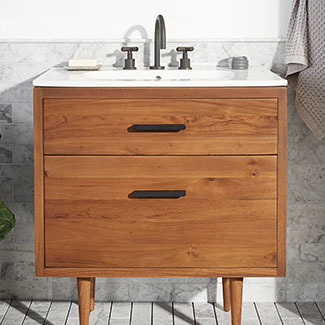 Our definitive Pacific Northwest style is inspired by thoughtful use of materials and lasting designs. 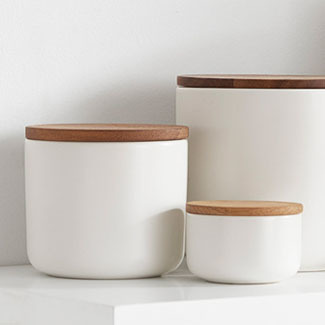 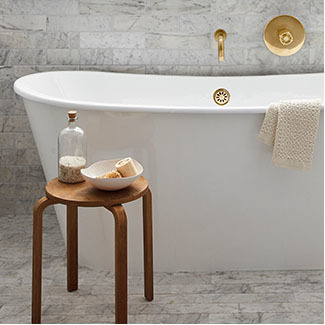 These pieces blend clean lines with organic forms for a serene bath update. 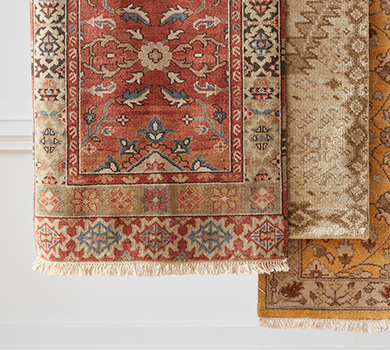 With a focus on authentic details and classic silhouettes from all eras, our Updated Traditional styles offer referential designs with a fresh, modern take. 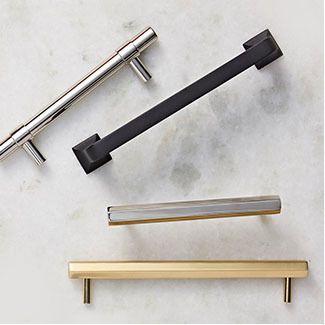 We design our bath collections to offer the full suite of essentials for a cohesive bath update, from towel bars to faucets. 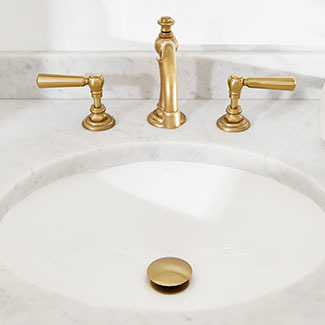 We take care to ensure our finishes match across our bath fixtures, hardware, and lighting so each detail speaks to the next. 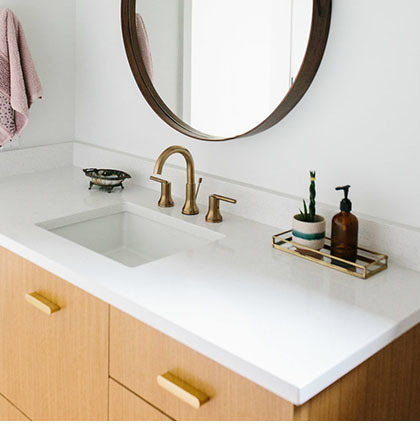 Ground your bath space with a sustainably crafted wood vanity, then complete with your choice of marble countertop and solid brass hardware. 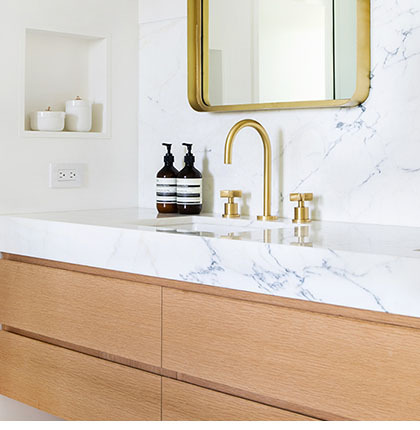 We source the highest quality materials for our bath vanities, making it easy for you to create a one-of-a-kind luxury piece. 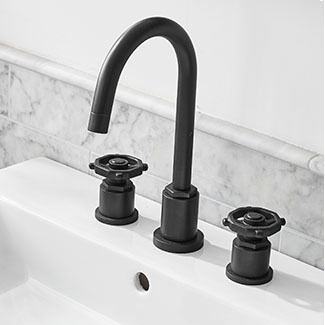 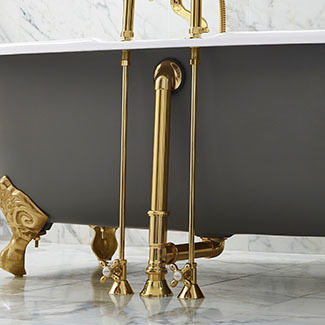 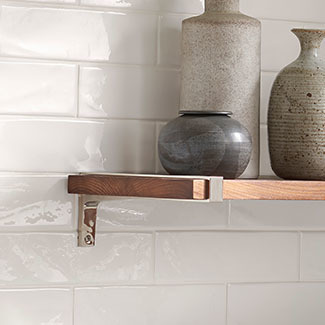 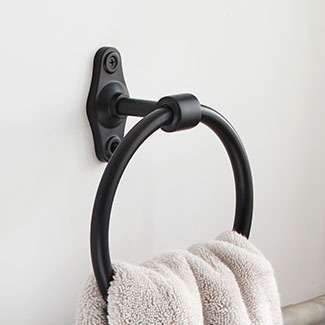 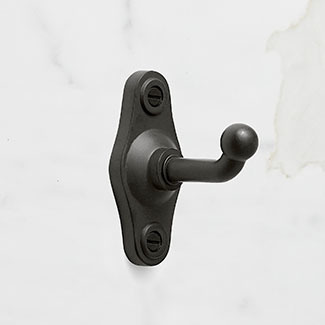 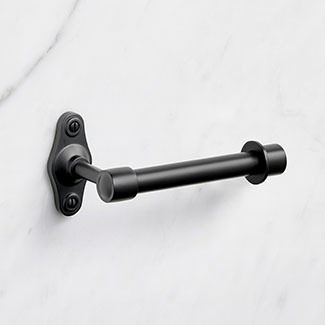 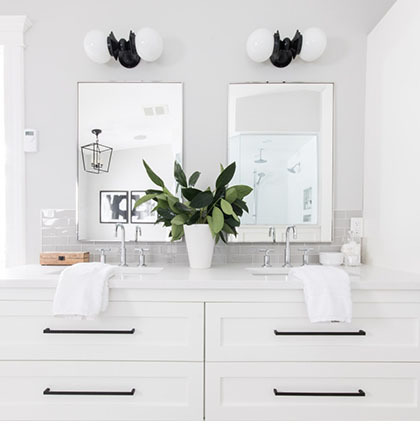 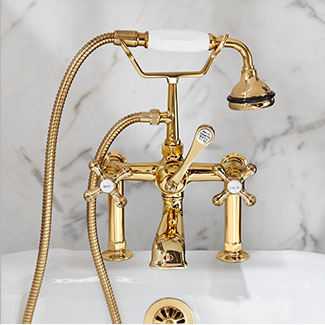 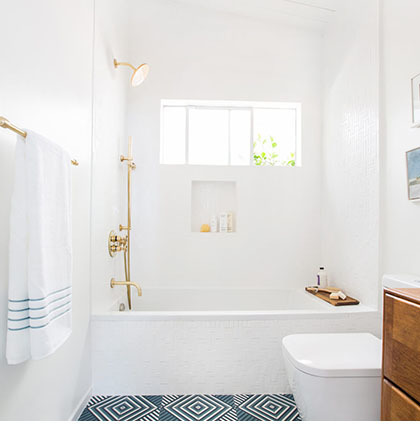 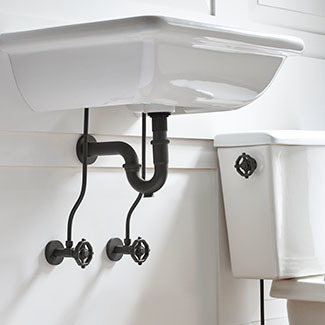 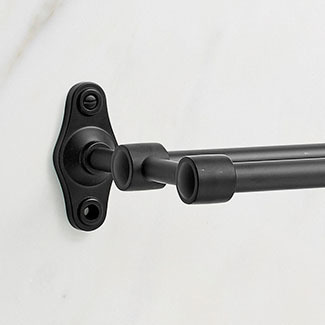 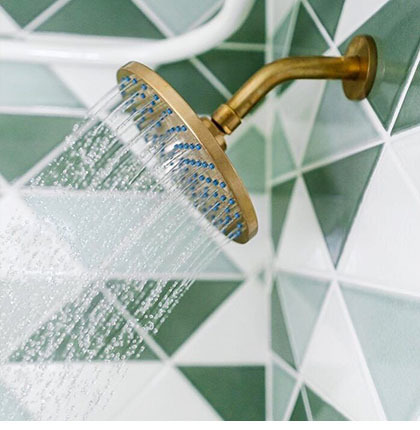 From energy-efficient thermostatic shower sets to vintage-inspired tub fillers, find elegant plumbing fixtures for your whole bath. 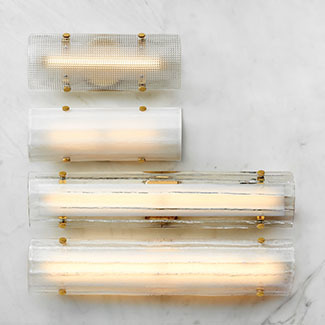 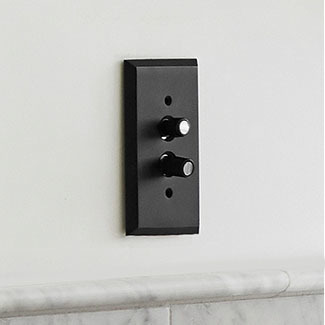 Get started on your project with our versatile and customizable bath lighting collections. 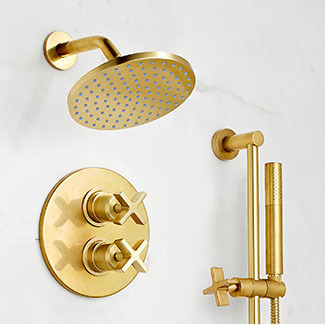 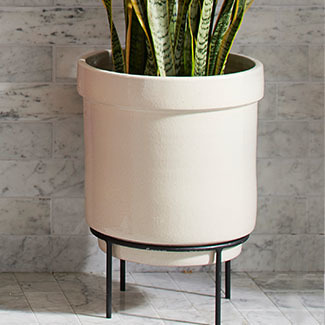 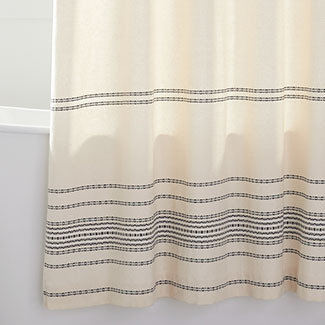 Each design is wet- or damp-rated, which means it’s built to stand up to any bath environment. 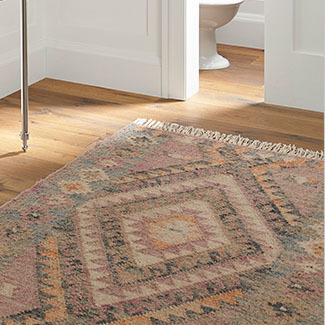 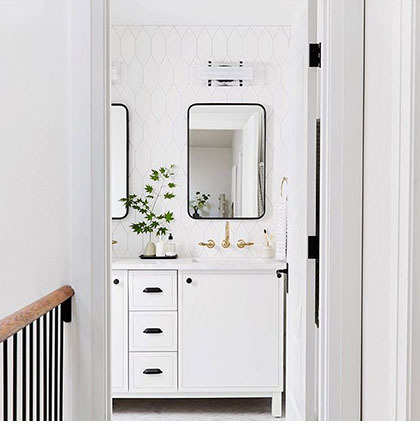 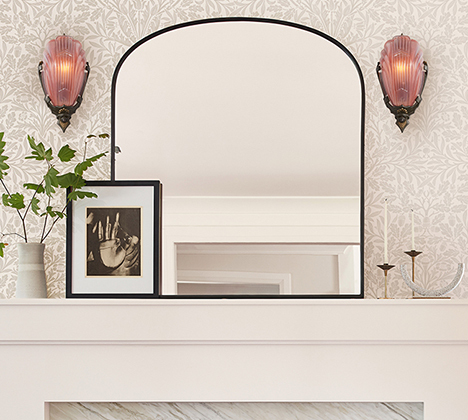 From your master suite retreat to the hall powder room, discover elegant accents to complete your bath. 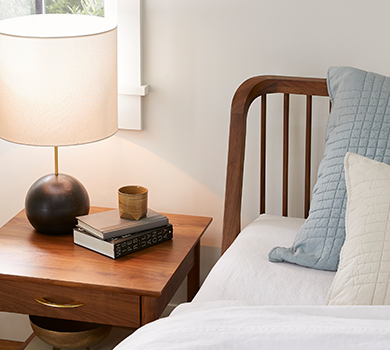 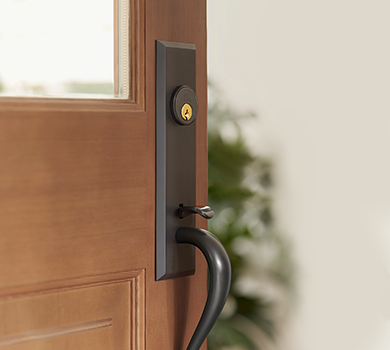 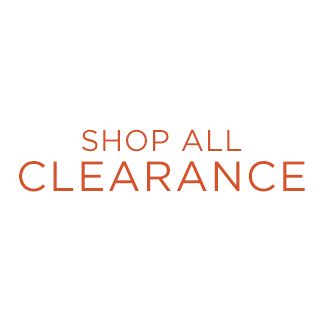 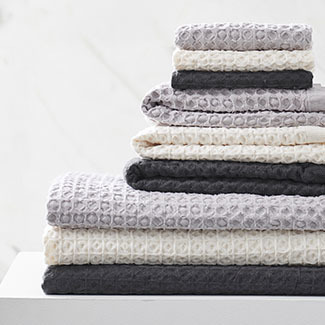 We source the finest materials and designs, so you can find an update that’s made to last.